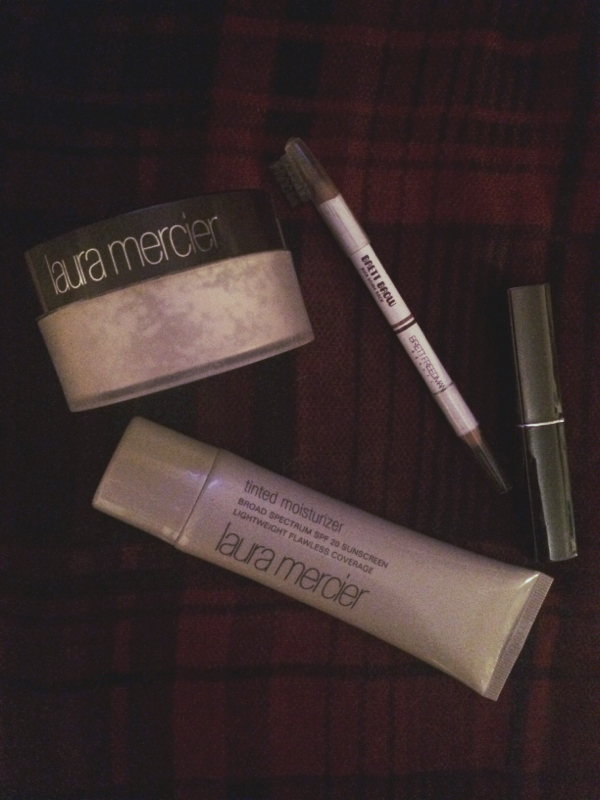 Laura Mercier Tinted Moisturizer – I love this foundation/moisturizer so much! It has 20 SPF, and really does deliver flawless coverage! I can rest easy knowing I threw this on in the morning. It also seems to last longer than most other tinted moisturizers I’ve tried. Major point, Laura. If you’re as fair as I am, the Porcelain is an amazing shade! There’s also an Oil-free version of this same moisturizer that I hear works wonders! Laura Mercier Loose Setting Powder – There’s not much to say about setting powders, but as far as this one goes, it’s quite amazing. I’ve been looking for a good one for years now since a really old brand discontinued their products and I lost my favorite powder! It works great and I keep it in my purse with me all day to use for touch ups! Brett Brow Duo-Shade Pencil – Brett is a brow genius and this pencil is worth every last penny. I have the Medium Brunette color and I have to say, it’s the best flipping brow pencil I’ve ever used. Say yes to Brett Brow. Not only do I love these products, but I also love the companies! All of the products / companies listed above are cruelty-free! Yay to saving bunnies and other little creatures!! Leave a comment below and tell me: Have you used any of these amaze products?! And don’t forget to subscribe!